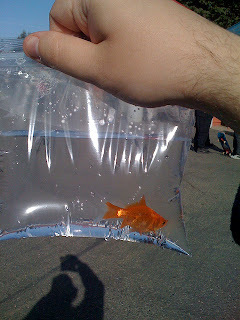 Fish Girl Writes: An end to fairground goldfish? An end to fairground goldfish? 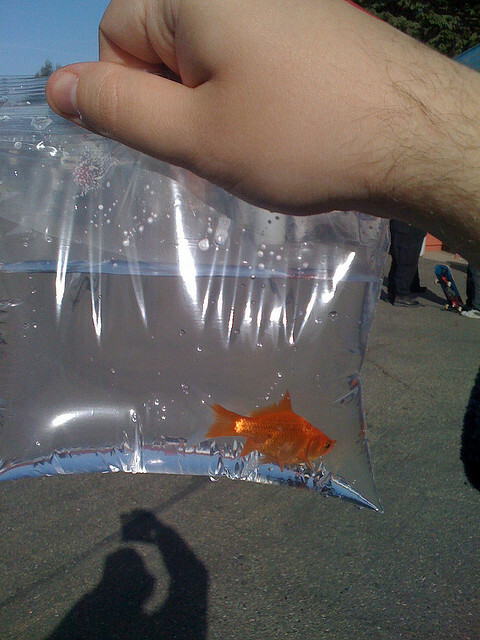 A lot of people began their fishkeeping hobby with a goldfish, many of them won at a fair. While many don’t see a problem with this, they also don’t know the reality of fairground goldfish. These fish are given to anyone with no directions for care. Most don't even come with a tank. Many of these fish are simply thrown in the garbage, left to suffocate after being tossed to the ground, or poisoned with chlorine when they are flushed down a toilet. The “lucky” ones are put in a goldfish bowl and languish for a few weeks before succumbing to ammonia poisoning. Maybe one of a thousand will be helped when its owner seeks out help for the poor creature that has come down with an illness as a result of the terrible living conditions. Clarke, Matt. 26 October 2005. "Rome bans bowls and fairground goldfish." practicalfishkeeping.co.uk. Retrieved 9 July 2012. Stoodly, Tim. 13 May 2011. 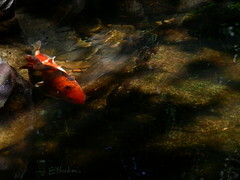 “How can we stop goldfish frombeing given away as prizes?” practicalfishkeeping.co.uk. Retrieved 9 July 2012.